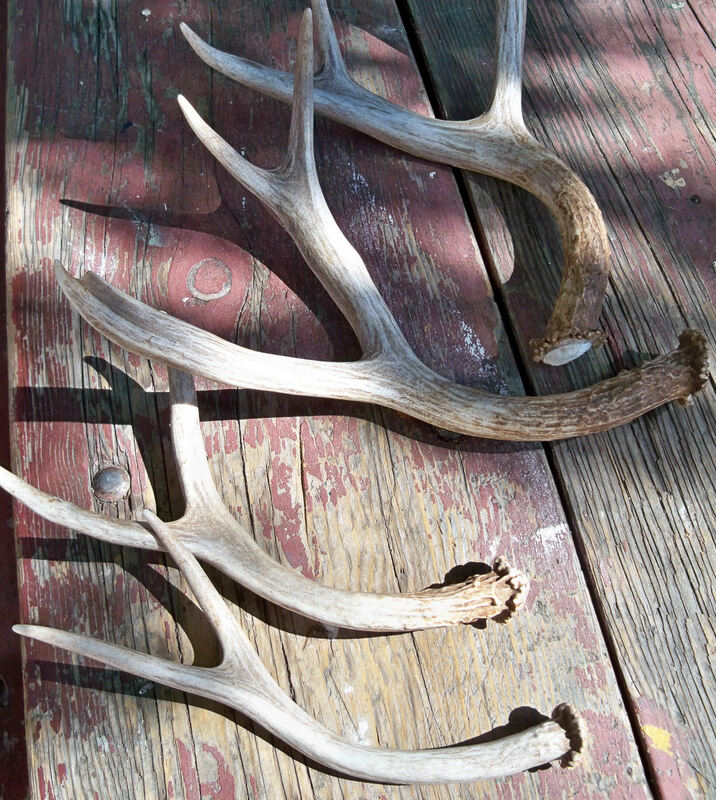 Recently dropped mule deer antlers. 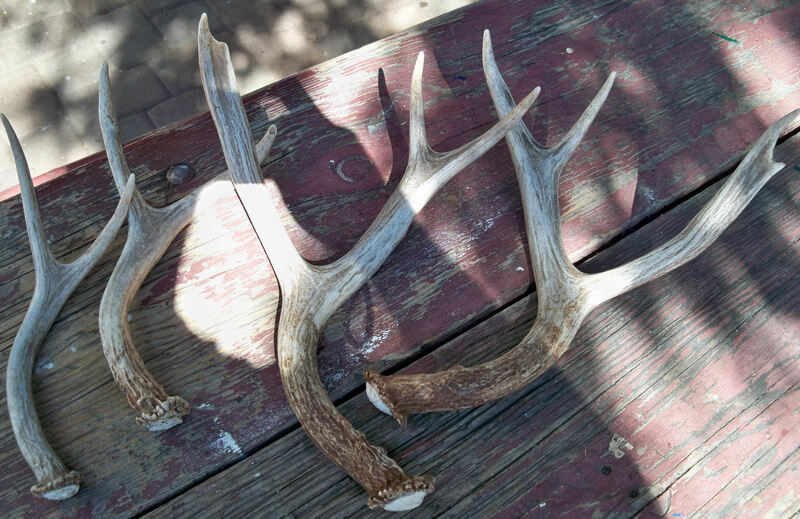 The pair at the top is a set, a rare find for shed antler. I love this time of year as it keeps the hunter-gather spirit in me alive and well. Happy hunting! and for anyone just reading my blog these are naturally shed antlers and no harm has been done to any deer. The deer naturally shed them for several years as they mature. This entry was posted on March 10, 2012 by .. It was filed under Knife making-Blacksmithing and was tagged with antler daggers, antler knives, blades, daggers, finding antlers, forging, hunter gatherer, knife handles, mesolithic, mule deer, neolithic, ntler handles, shed antlers. Why is that? it does not harm anything\ as far as I know. I could sell you a few shed antlers if you want. I would have to cut them up before sending though.